Active Query Builder is a Delphi VCL component to create SQL queries easily. True two-way query builder with user-friendly interface and unique query research capabilities; a perfect choice for both SQL beginners and experienced query writers. TCP/IP and UDP sockets client/server component for Delphi to communicate across a network. Allows multiple servers and clients simultaneously. Create proxy, chat, file transfer, HTTP, SMTP, POP3, FTP and DNS client programs. Royalty free. Delphi Flash solution - pure Object Pascal library for creating Flash animations without using any external dynamic library. SWF reading and recreating; advanced objects creating; FLV video; native Delphi Canvas; Flash 8 effects; Unicode support. TJamDTA is a component for Delphi and C++ Builder that allows you to build DTA / DTAUS files that contain standardized information about money tranfers (wire transfers) between German banks. .
TJamDTA is a component for Delphi and C++ Builder that allows you to build DTA / DTAUS files that contain standardized information about money tranfers (wire transfers) between German banks. A powerful Oracle development add-in for Delphi 2005. Convenient IDE access to browsing databases, developing PL/SQL, and managing schema objects. Features include easy object manipulation, visual query building, and extended scripting support. 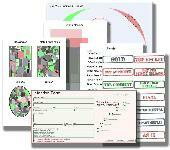 Delphi/C++Builder components for displaying, editing and printing rich hypertext documents. Various text formatting, tables, images, textured background, HTML export, RTF import and export, data-aware versions, printing with scalable preview. The ShellBrowser components give a Delphi programmer easy access to the Win32 shell functionality. The components look and behave exactly like the corresponding parts of the Explorer. SMTP / POP3 email component Delphi library to send and receive mail including HTML and MIME base64 and quoted-printable encoded attachments from a program. Supports SMTP (ESMTP) and POP3 authentication. Supports all versions Borland Delphi. Delphi serial port RS232/R485/RS422 communications component library. Control multiple ports simultaneously; line status/control,modem control,ASCII/XMODEM/YMODEM, virtual ports (USB to serial, Bluetooth serial), hardware/software flow control. Find what you want for your Delphi or C++ Builder IDE at www.delphi-files.com web site. Simplest program that helps you to find the component for your programming in the Delphi or C++ Builder Integrated Development Environment. Put the search string. Find what you want for your Delphi or C++ Builder IDE at www.Delphi-files.com web site. Simplest desktop program that helps you to find the component for your programming in the Delphi or C++ Builder Integrated Development Environment. Put the search string and find variations of components (VCL) or source code examples right at the web site. Finally, delphi developers have a relibale way to eliminate embarrassing spelling errors in thier applications. ZipForge is an advanced Delphi ZIP component, written completely in Delphi. ZipForge features include SFX archives support, AES encryption, Zip64, splitting and multi-spanning support. Full source code is available. No external dependancies. The ShellBrowser components give a Delphi programmer easy access to the Windows Shell functionality. The components look and behave exactly like the corresponding parts of the Explorer. an easy-to-use software to count lines of code in source for Project Managers and Programmers. Able to count Delphi(Delphi/Pascal) language. Includes total counts and percentages for comments, blanks and source lines. All reports can be exported. HotXLS Excel Read Write Library is a high-performance excel read-write library & component for Delphi & C++Builder, it can writing new Excel spreadsheets, as well as reading and modifying existing Excel xls files without Excel installed. CalDAV Calendar Delphi Component is a powerful component that allows you to work with CalDAV Calendars using Delphi. Using CalDAV Calendar Delphi Component you can easily add CalDAV Calendars import, export and synchronization capabilities for any Delphi program within several hours. You can directly edit Calendars and add/edit/delete Events. SyncML Delphi Component is a non-visual component that allows you to work with SyncML servers using Delphi. You will be able to access and work with calendar, contacts, tasks, and notes SyncML data. SMTP/POP3/IMAP Delphi email component uses a simple interface to send, receive and parse mail, including HTML and MIME Base64 and quoted-printable encoded attachments. Supports SMTP & POP3 authentication, SSL/TLS, ISO-8859 and UTF-8 messages. MHT to ePub Converter is a MHT conversion tool that allows for batch conversion of MHT to ePub Converter, MHT to ePub Converter convert MHT to ePub quickly.